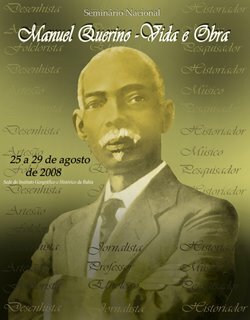 Manuel Raimundo Querino (1851-1923): Why post about Obama? 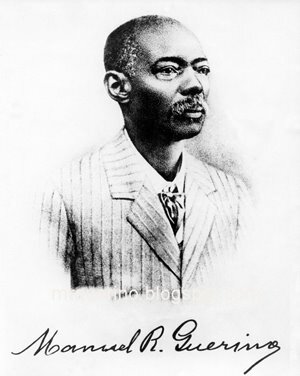 You may have been wondering why I'm publishing posts on the Obama campaign in a blog that's supposedly about an Afro-Brazilian who died 85 years ago and didn't even call himself "black." The reason is this: the negative events taking place in the US as a result of a "half-black" African-American running for president have been plaguing Brazilians since Querino's lifetime. How can a person of African descent express Black Pride without making whites uncomfortable? Is it possible, as many whites allege, for a black person living in a white-dominated society to be a racist? The questions of racial and cultural mixture, and efforts to overcome the massive gap beween black vs. white achievement and income levels when blacks received no means of "levelling the playing field" with whites, in terms of education or professional skills after "emancipation" in the US or Brazil have everything to do with Querino's life and struggle.